Yes, Breckenridge, Colorado could certainly fall into Pit Stops for Kids’ Best Ski Towns category; however, this resort town truly is a four-season destination. While it’s best known for winter sports, Breckenridge shines in the warmer months as well, boosting hiking, rafting, biking, and lots of storied history. Here’s what to do with kids and without in Breckenridge, truly a Best Mountain Town. 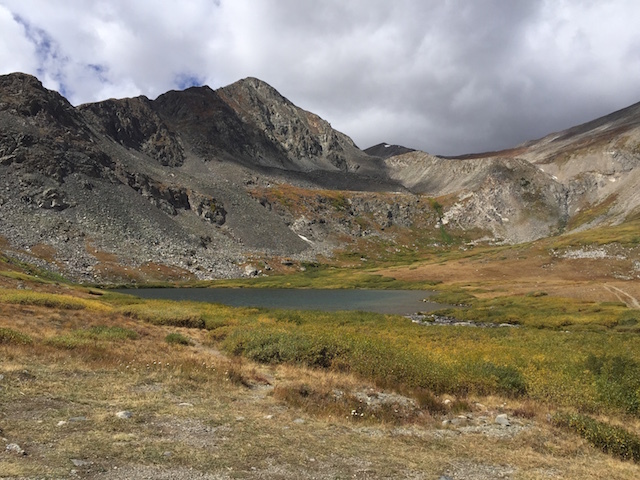 Hiking: The Tenmile Range, plenty of 14-ers, and a network of in-town hiking trails give families an entire vacation’s worth of hiking at their fingertips. We love that parents with young kids can access trails like the Burro Trail directly from Main Street in town, whereas serious hikers will be quite challenged at higher elevations. See our entire post on hiking in Breckenridge with kids. Shopping and eating: Always important activities on a vacation, shopping and dining options abound on Breckenridge’s Main Street and the blocks surrounding. Read our post on where to eat in Breckenridge, and be sure to take the time to walk along the Blue River Rec Path, taking in the fall colors in autumn and enjoying the snow in winter. Skiing: Of course, Breckenridge Ski Resort is omnipresent in and around town. The peaks of this world class resort span across the town, and lift access is available at multiple points (making many lodging choices ski-in, ski-out. In addition to downhill skiing, Breckenridge’s hiking trails become snow shoe and nordic ski trails in winter. Pick up rental equipment at any one of a vast number of sporting goods stores in town. Bike riding: There are miles of mountain bike trails around town (more on that below) but for families who don’t want to tackle this extreme sport, the Recreational Bike Path is paved, and connects Breckenridge with Frisco and even Keystone. Families can rent bikes and trailers and spend a day on the path. A rec bike path also winds through town, adjacent to the Blue River. Family tip: For families that pedal together, take a ride from the gate along Boreas Pass Road. It’s an old railroad grade, so the climb is mellow and you’ll see incredible views not far from where you start. The best part? It’s all downhill back to the car. Historical tours and sites: Everywhere you go in Breckenridge, you’re surrounded by early settler and mining history. Families can see remnants of mining on the area’s trails: an easy hike on the short but beautiful Reiling Drudge Trail boosts an actual drudge and hydraulic mining area, and a longer, steeper hike on the Spruce Creek loop yields mining cabins and an old bull wheel. Tip! Kids and adults will love the zipline and Gold Runner Coaster at the Fun Park. For history on the town, families can participate in gold mine tours and try their hand at gold panning. There’s also an array of outdoor activities for families to enjoy including, full moon rafting, summer dog sledding, fly fishing, hiking, horseback riding and more. In town, stop at the Breckenridge Welcome Center on Main Street to tour an excellent and free museum on the town’s mining history. Next, go to the Edwin Carter Discovery Center, where kids learn about one of the area’s first naturalists, and the Barney Ford Victorian Home, also both free. The latter offers a living history tour of the home of Barney L. Ford, an escaped slave who made his fortune in the West. His is an inspiring story for both kids and parents (one tidbit: his mother stole a dictionary for him, hoping it would lead to a better life). There’s also a schoolhouse replica in his home. If you have school-aged kids, consider booking a walking tour with the Heritage Alliance. Tours are $10 for adults and $5 for kids, and take about an hour and a half. Our guide taught us about the historical buildings in town we didn’t even realize were of significance, and toured us through two 1880s homes not open to the general public. It was absolutely interesting and relevant to kids of about eight and up. See all tours offered. Check out the Country Boy Mine, just outside of downtown, to tour an actual mine shaft and learn about mining conditions for miners in the late 1800s. Best for older kids who are not afraid of the dark! Be sure to take time while walking along Main Street to play at the small but inventive playground at the River Walk and River Walk Square. In summer, kids can wade in the Blue River here, too, jumping between the stones. The Breckenridge Mountain Top Children’s Museum sits adjacent to the ski village, within easy walking distance of Main Street, and is a good option during bad weather. Lower Flume: Access the Lower Flume trail directly from town via the recreational bike path (more on that below). From the Breckenridge Recreation Center, follow the path out of town to where it connects with Lower Flume. Or, follow Main Street down to the 7-Eleven, turn right, and access from the recycling center. Betty’s Trail: Find this intermediate trail right off Reiling Road. It’s just under one mile, and parallels the road most of the way (you won’t get disoriented). While it goes up and down, it’s not too rocky, though you’ll want to take care on the sharp turns. Turk’s Trail and Reiling Drudge Trail: Further up Reiling, a parking lot offers access to a wider network of trails, including intermediate Turk’s and easy (and short) Reiling Drudge. Turk’s has quite the incline and tends to be rocky, but intermediate to advanced riders will love that it connects to more in the blue category, or can be looped with easy B&B.The Reiling Drudge Trail is fun because of the historical plaques marking remnants of mining history in the area. XLOU8: My favorite intermediate trail I experienced, XLOU8 can be accessed from the same Reiling Drudge parking lot, and connects to Minnie Mine trail. It’s up and down, fairly free of rocks, and has an interesting mine to ride past. Pence Miller: This intermediate trail can be accessed directly from Mountain Thunder Lodge via a short access trail. It winds above the resort area at the bottom section of the ski runs. Many families visiting Breckenridge in the summer months rent a car, but if you are flying in and out of Denver and the Breckenridge area is your only stop, a car is not necessary. We like to take Colorado Mountain Express to and from the airport (there’s WiFi onboard, so I can get work done on the drive) and once in town, we can access all hiking and biking via foot or with the Breckenridge Free Ride shuttle, which runs year-round! Do you love Breckenridge? What time of year do you visit? I can’t even describe how much I love mountain village getaways, there’s a place in Kenya in Nairobi that has a lodge like these, but obviously with some African flair and I have to say that going to cabins is always one of the best experiences my family and I have ever had on any trips. There’s been catamarans and sailing, flying trips, paragliding, camping in a suspended tent and staying in 5 star lodging but cabins are by far my favourites. Have to mention the locally owned and very fun Peak-A-Boo toy store – right by downstairs @ Erics. Friendly staff, lots of hands-on toys to test, and not your typical toy store with learning and creativitly in mind…I know the outdoors are the allure of Breckenridge but a stroll down main street is hard to avoid this wonderful shop!